That’s what I’m doing to prepare for the Jimmy Herring master class on Friday. 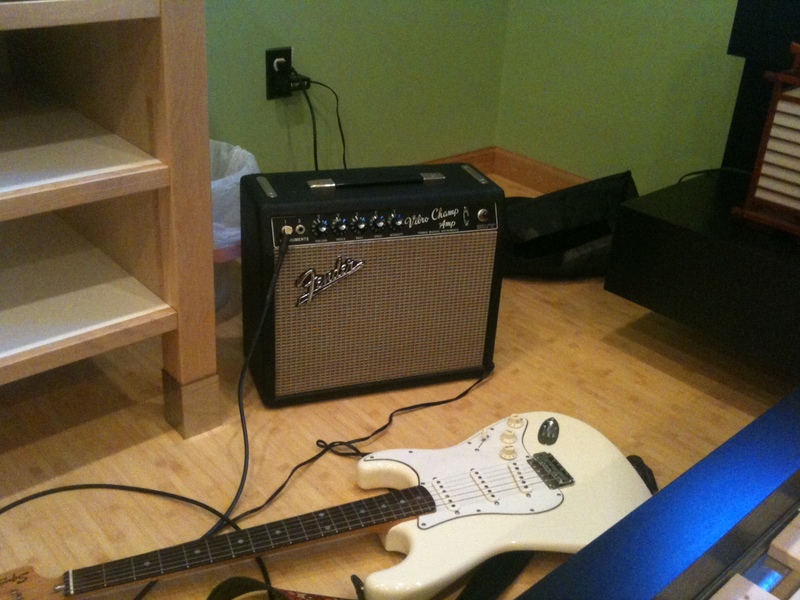 I’m using a wee amp called a Champ Amp. It’s pretty famous. The Beatles and Eric Clapton used them to record their albums due to their sweet tone and minimal footprint. Sounds champy. And that’s very good. 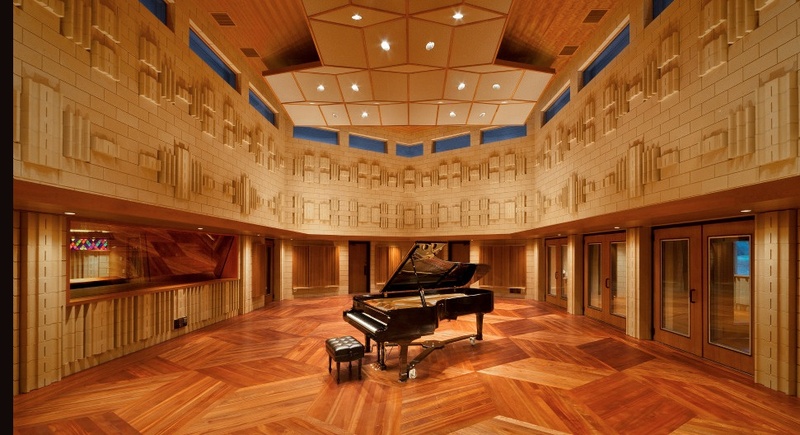 Having music at work is more than just tuning to a radio station. Actually playing it makes work about 72% better and even more when you play it right. Looking forward to a music experience of a lifetime! 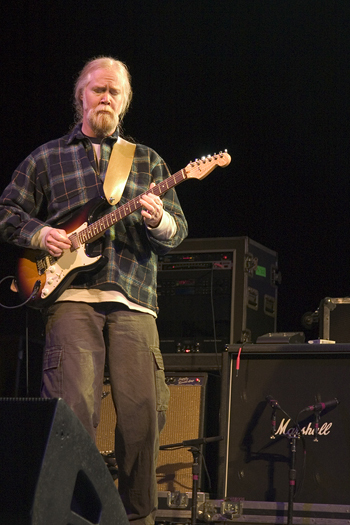 Jimmy Herring is butter on your crusty french loaf. In Paris. During summer. While drinking Burgundy. While I’ve never been to Paris, it’s like this in my mind – a hedonists flavor indulgence until you’re panting. That’s how Jimmy’s blistering guitar work makes me feel. Sometimes I just need to take a zen walk in the forest to understand what he just played. Given that I was reared on Allman Brothers and Eric Clapton, it’s no wonder I like his guitar work so much. His foundation is blues. But how he orchestrates a conversation in blues, jazz, country and rock within the same sentence tempts my soul. I’ve never been a “shredder” guitarist. I simply could never play that fast. I always preferred slightly down tempo music over which to solo and create. But when you hear what’s possible when nearly infinite flow marries aggressively attacked guitar, up tempo, you get it. You really get it. I know it’s not for everyone. Newborns and mothers may opt for some James Taylor – and that is great! But sometimes you need to let your testosterone growl, as Jimmy says, let it out in a guttural way. So I’m headed to meet him at an exclusive, private master class/guitar riot camp. He’s going to show us around vintage instruments in a studio the equivalent of an Aston Martin. He’ll teach us the ways of guitar mastery. He’ll even let us jam with him and his band! All of this is capped by a live performance in said studio, where even the kitchen cupboards sound good when you knock on them. I’m packing up and headed to North Carolina on Thursday, giddy for the Friday/Saturday event. 24 hours of inspiration from a guitar legend. It almost doesn’t seem real! More soon as I cram before one of the coolest weekends I may ever have. That’s why “Soul Kitchen” is on tap for today. It’s a song Jim Morrison wrote about “Olivia’s” a restaurant in Venice that made food that fed his soul. I can relate – Indian food moves my soul in ways mysterious. Let’s let The Doors help our soul down it’s path. 2011, by all accounts, was a trying year. Luckily we have sweet music to ease our pain and offer hope. That’s exactly why today’s Soul Strum hero is Martin Sexton. His story is amazing (http://en.wikipedia.org/wiki/Martin_Sexton) and he couldn’t be a sweeter guy. Not to mention his melodious tunes, which ushered me across the country 11 years ago. He’s one of the best at what he does and we should all be graced by his incredible voice. Ramaya is the consumate song writer, what with his lures, hooks and hits. Why he hasn’t been found, signed to a lucrative contract and sent away in a grandiose tour bus is really the marvel. Just one listen and you’ll realize what type of soul we have on our hands – deeply passionate. This makes for a soundscape that’s familiar yet original, seething yet soothing. Have a listen and enjoy the mental view. How appropriate an ode, thanks to Shannon Hoon. He was a dogged fighter, raspy melody-maker and an insightful soul. He single-handedly led me through transitions in life that wouldn’t have been the same without him. Forget for a moment that “No Rain” was popularized by the music media and instead, feel the rawness of his essence here. Soul One for Soul Strum. Welcome to this little world I call Soul Strum. It’s where playing guitar has meaning beyond just the sound. Strumming for your soul – it’s an idea you’ve seen in action many times. A musician closes her eyes and completely loses herself in a moment. A beginner guitarist plays a C major chord with ease and his eyes widen. A songwriter knows what she’s just written is so much bigger than she can understand. The soul speaks through the strum. That’s simple but the result is deep and far-reaching. And I’m giving lessons (or, really, having “sessions”) with beginner and intermediate guitarists to achieve that reveling moment … and series of continuous moments even when the guitar’s in it’s case … although I don’t recommend doing that to your dear guitar! Stick with me over the next months, year and beyond as Soul Strum evolves, as you evolve, and together we’ll create some beautiful music. For today, I’ll leave you with a video that’s poignant. Gregory Alan Isakov epitomizes the soul strummer. Give him a try. Tell all your friends.